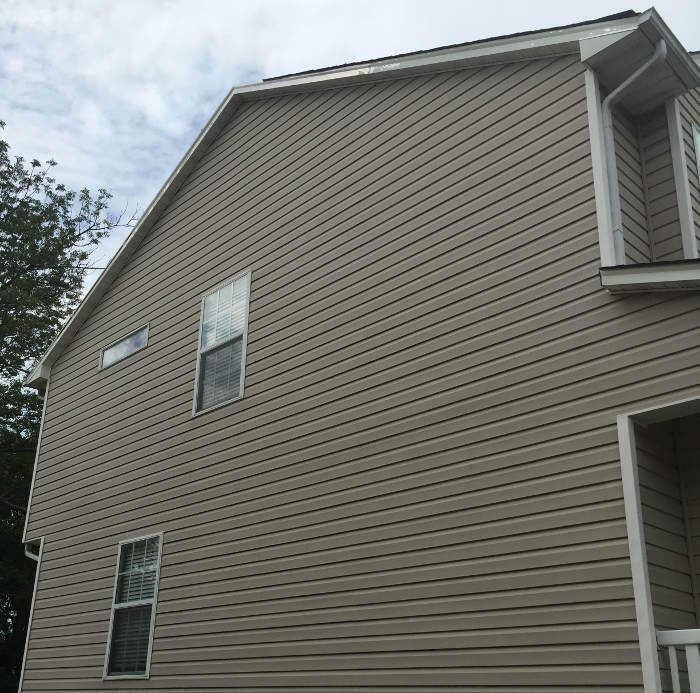 We offer superb craftsmanship as a siding contractor in Versailles, KY. Woodford County residents can expect quality service with our installs and repairs. Whether you’re doing a renovation or need insurance replacement for siding, we can help! Call or Request Free Estimate! Our commitment is to perform our work by only implementing the best installation techniques that stand the test of time. It’s the quality you deserve, so we guarantee to provide it. Our services are truly diverse. We can provide any type of work you need performed. From the smallest of jobs to large community developments, we have the staff and knowledge to perform it all. Sometimes a fresh new look is just what your home needs. At other times you may have been subjected to storm damages like high winds or hail. No matter what you require, we offer siding repair and replacement in Versailles. We offer new siding installations for home developments and construction projects in the residential and commercial sectors. It happens to almost all types of siding. Over time the color can fade, become chalky or need replaced due to cracks. We have a high success rate with offering color matching for almost any type of siding. Not too many clients would ever consider having their siding inspected. A benefit of this service we provide is to ensure it isn’t exposed to foreign elements, deteriorating from insects or mother nature. Contact us for quality service. We believe that no matter how great the workmanship is, nothing will stand over time without utilizing a great product as well. We have composed some information on the brands of siding products we use as well as the benefits. Think all siding companies are the same? Sure they may all perform the same type of work, but what really sets them apart? The benefits of our company. Each staff member has their own dedicated role within our company. To begin with, our office manager is in place to keep all lines of communication open with clients. This keeps us operating efficiently. Our estimating inspectors are in place to advise you on your options and offer unbiased advice on the best siding products to use. You’ll also experience our quality control concierge, who stops in to answer any questions you may have regarding your project. In addition, their role is to also ensure that each siding repair and installation we perform is delivered with quality workmanship. As far as crews go, we’ve got some of the best talent in the industry! Each member is very friendly and respectful of your property and home. They also have a commitment to go over and beyond when it comes to our installations lasting for years to come. The difference with our company. We have proven results of our satisfied clients. Each, at one time, just like you, had to choose us to perform the work they required. We are proud to say that over 98% of all clients have given us a 5 out of 5! Consider our benefits and our difference when you’re selecting a siding company in Versailles.